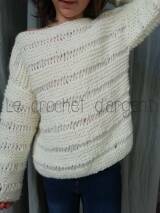 We continue with creations, with today an ultra simple model to realize: a loose sweater that I named “Waiting for the snow”: its softness and whiteness make me think of a warm afternoon by the fire to watch the snow fall outside! 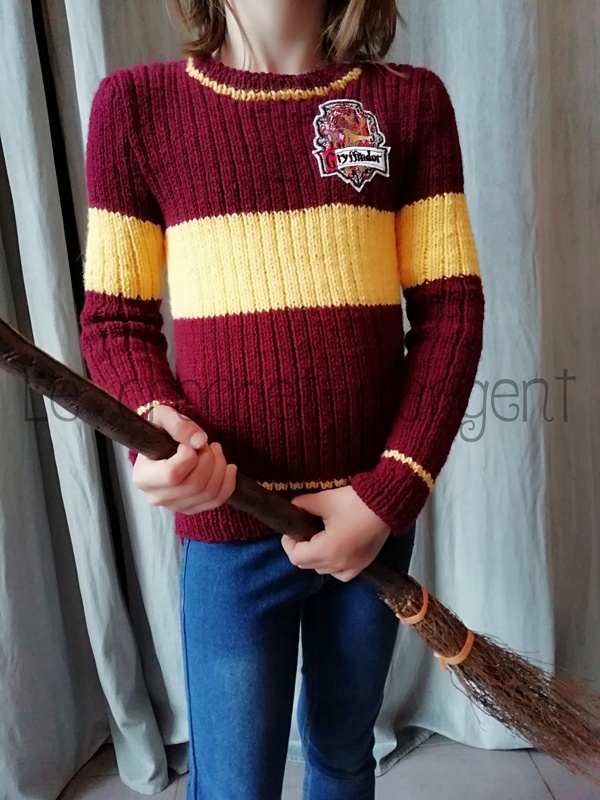 Another very, very fast model to make with needles number 7, with 3 balls of Julia yarn from Zeeman for the size 8 years: you can knit in less than 10 hours and for less than 10 euros! 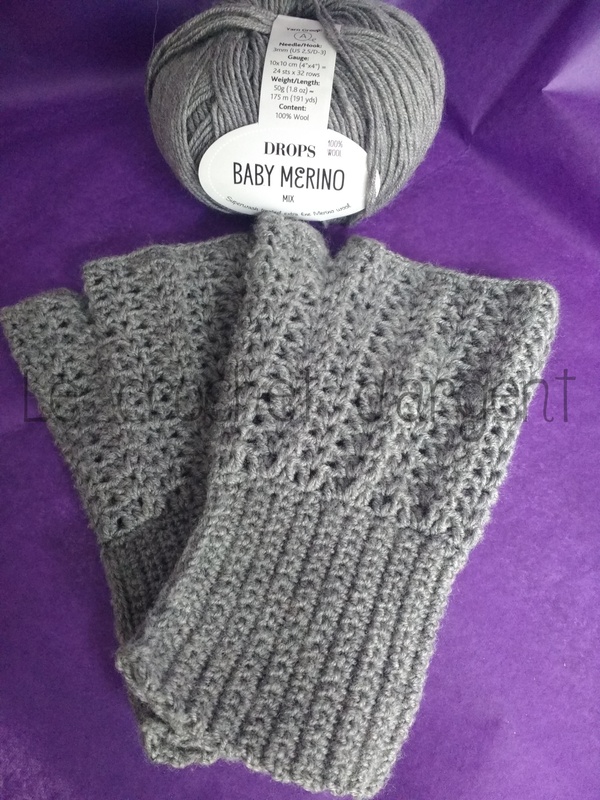 And it will do wonders for your outings with its fancy stitch, alternating garter stitch and openwork river stitch! I offer you here the explanations to realize it in all sizes, child 8 years old and adult, without any headache! So, beginner or advanced, get started! 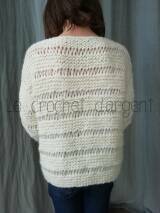 You will knit 2 rectangles for the front and the back. Size 38-40: width 56cm, height 62cm approx. Here, for a size 8 years I made 2 rectangles of 40cm large by 42cm high. So cast on your stitches (50 in size 8 years) (70/76/80 stitches) and knit in fancy stitch up to the desired height (87 rows in 8 years). 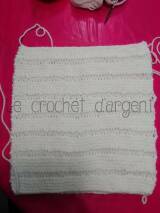 Be careful to fast off after the 10th row of garter stitch. Make a second identical piece. Sew the sides leaving a wide opening for the armhole (about 16 cm for the armhole in 8 years, count 20 cm for a 38, 21cm for a 40-42 and 22cm for a 44-46). Sew the shoulders together, leaving an opening for the head, a little wider if you want for a bare shoulder effect. 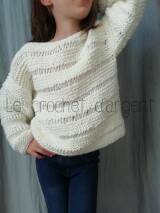 For the size 8 years, CO 32 stitches, knit in fancy stitch by increasing 1st on each side in rows 12, 22, 32 and 42. Fast off in 60th row. For sizes 38-40/42-44/46-48, CO 38/41/44 meshes and increase on each side 1m in rows 12, 22, 32, 42, 52 and 62 (at each 2nd row of the garter block). Fast off after a garter block. 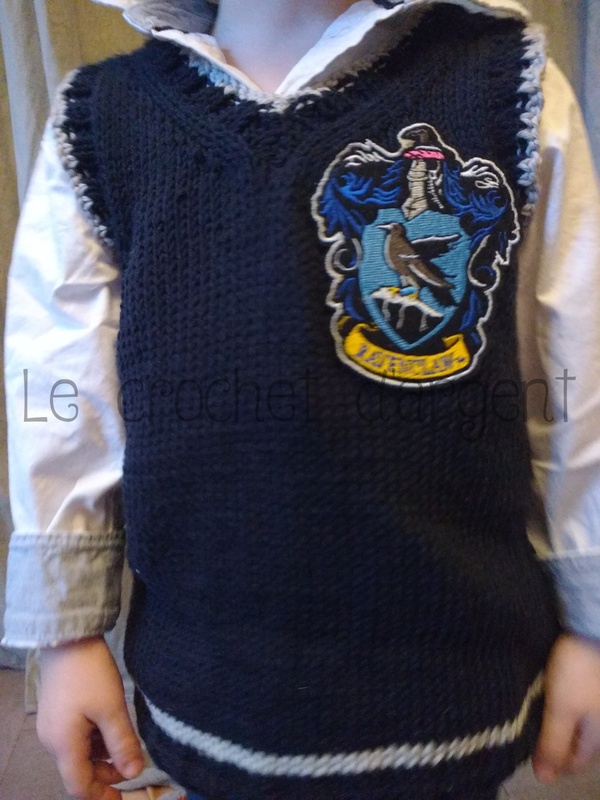 Fold the sleeve, sew it and sew it to the body of the sweater, and make the second sleeve the same. 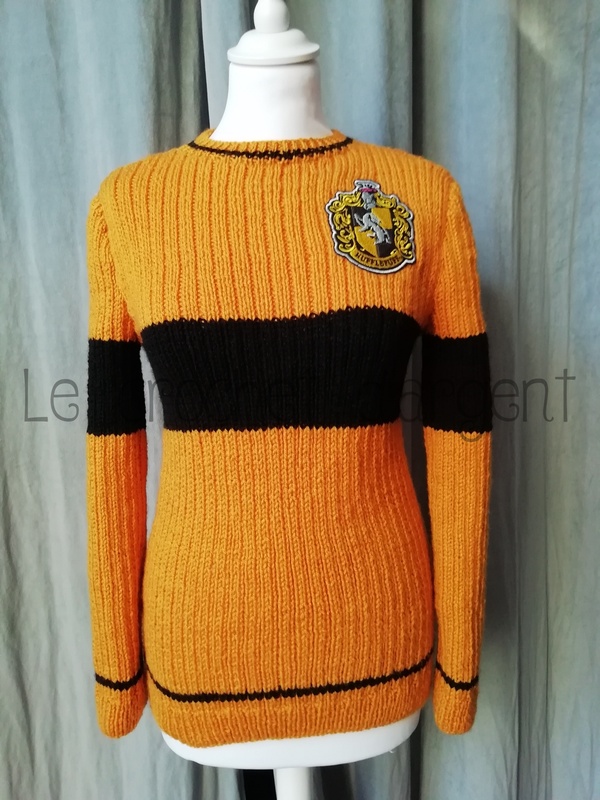 I hope you will enjoy this sweater and that it will warm you up as much as it will beautify you! See you soon for new LCA models!